Priority Planning is dedicated to uncovering and preventing fraud within families and businesses and uses several techniques on how to detect and prevent fraud. Fraud detection is at the heart of many family squabbles. Marital assets may be missing, hidden or dissipated during a divorce. An elderly parent’s children may be helping themselves to their inheritance early. A trustee, or trusted professional, may not be as “trusty” as originally thought and assets may have disappeared. Money manipulation within a family can irrevocably damage its structure. Elder care fraud is estimated to be over $2.6 billion dollars annually. These are issues that can, and do, affect everyone. 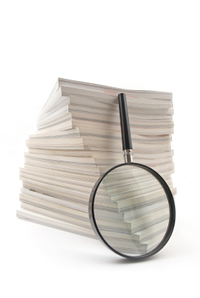 By working with a known paper trail we are experts in uncovering immoral or illegal behavior. Through the use of forensic accounting and fraud examination principals, evidence is gathered to put the pieces of the “financial puzzle” together so a true picture emerges. Fraud prevention is the second element to deterrence. In most cases there are potential “red flags” that were missed before the fraud was detected. The sooner people recognize the warning signs the sooner it will be uncovered. There are many signs, that often go unnoticed, until a fraud is discovered. These could be changes in lifestyle, changes in the level of secrecy and changes in how finances are handled. Looking back, my clients often notice blaring signs of financial infidelity. Mailing addresses could be changed, bills are no longer appearing, passwords are changed on accounts, their spouse has more (less) money than they did before or is behaving differently. We all need to be more tuned into changes in other people and not ignore or just not care until it’s too late. Finances in families should be “transparent” and subject to the open-book test. If you feel you are being shoved aside and not allowed into the finances, you need to stop and ask yourself “why?” It could be that bad behavior is present in the other party and they do not want to be discovered.